Bar owners, people will judge your venue the moment they walk through the door. They’ll also base their judgement of your bar off what their friends say about it, and what they see on social media. What does this all mean? It clearly illustrates just how important first impressions are for the success of your business. The old saying about never getting a second chance to make a first impression rings true for the bar business. That’s why your establishment has to be at its best every day, not just during happy hour. 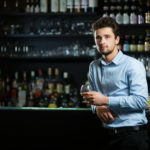 Before you start to improve the way your bar looks, you have to know what it looks like to your customers. You need to talk a walk through your bar and really study every aspect of it, and consider how that might appear to a customer. Ask yourself if your patrons can see the operational elements of your business, such as where you wash glasses and store other machinery. Do customers see your staff when they are on break? Is there anything hanging on the walls that might turn off segments of your customer base? Note: Not every bar owner is the best judge of his or her own establishment. You’re in your bar nearly every day and night, so you’ve grown used to the way things are. This is why it’s a good idea to have a friend or someone else you can trust to do a walk-through with you. Just make sure this person feels comfortable enough to be completely honest with you. He or she will find the faults in your bar that you are blind to. Sure, it might upset you at first, but remember that this person is trying to help you. (And you asked them to do it.) Listen to what they have to say and make the proper corrections. Find a way to move or disguise things you don’t want customers to see. Set a policy that requires staff to take their breaks in the back, away from customers. Your policy also can limit the amount of time employees spend socializing in your venue when they’re not on the clock. Remove potentially offensive promotional posters and ads and replace them with something more eye catching and pleasing. One of the easiest ways to improve your barroom’s appearance is to keep clean. This means everything from picking up empty bottles and glasses to cleaning the bar and tables, changing the trash bags on a regular basis, and keeping the bathrooms cleaned. The responsibility of this rests upon your shoulders and the shoulders of your staff. Don’t just tell your employees to clean up every chance they can. Do it yourself. When they see you doing everything you can to keep your bar clean, they’ll do it too. This is called leading by example. Choose color schemes that are warm and inviting. Create unique and sophisticated lighting effects. Emphasize areas of interest, such as your back bar, entertainment area, etc. with special lighting. Maintain a consistent them with your color and style. Replace blown bulbs, broken fittings, and other damaged items. 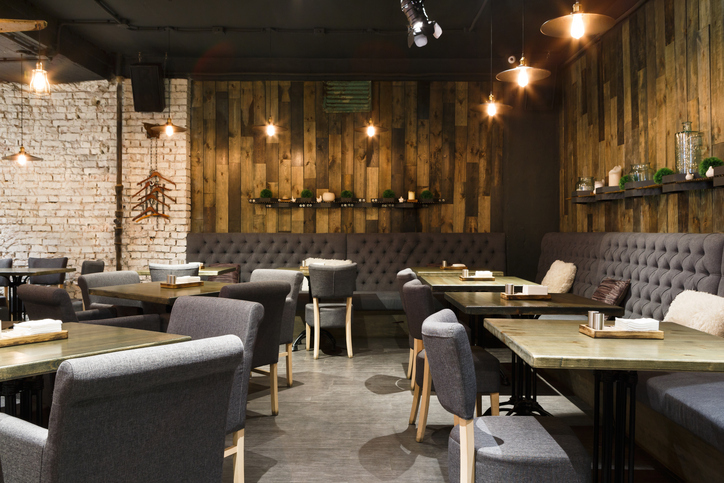 Make sure you and your staff keep your establishment clean and tidy. Many of the bar owners we spoke with said that they set aside a yearly budget to help with upkeep of their businesses. Yes, it’s that important to them. 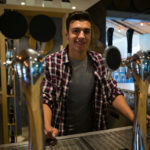 These businesspeople know that how the bar looks makes a huge impression on customers. Since we’re living in the age of social media, these bar owners also know that keep up their bar’s appearance is good because they’re customers are always taking pictures of each other at the bar. Give that some thought. Speaking of pleasing bar visuals, there’s nothing better than having DIRECTV in your bar, pub, or tavern. Who doesn’t want to see their favorite news, sports, and entertainment in high definition reception? Having DIRECTV in your bar delivers all of this and more to your patrons. This premier satellite TV service is great on game day. With the local team playing in your bar, patrons will come in to watch the game. While they’re at your bar, they’ll order more food and drinks, which boosts your profits. This is why so many bar owners offer DIRECTV in their establishments. It’s much more than just something to look at. If you’re interested in adding DIRECTV to your establishment, you probably have some questions. Signal Connect is an AT&T Preferred Dealer. Our reps can answer your questions about DIRECTV for bars and pubs. They can also handle every step in the process of adding this satellite TV service to your business. If you want to know anything about this, our commercial satellite experts Essa Alijelat and Nicholas Mily are more than happy to help. You can call them at our main number, 866-726-4182, or click on their bio and contact them directly. Either way, they will tell you everything you want to know about adding DIRECTV to your bar. Keep your music selection up to date and relevant to your target market. Do you have these items in your bar, but are in the best shape they can be? Or are they dented, scratched, rusted, or damaged in any way? If it’s the latter, then don’t you think that it’s time to replace these things? Of course you do. You want people to consider your bar a quality establishment. Having quality things that your customers come in contact with is one way to do this. 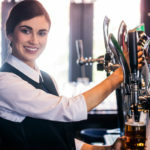 Combine this advice with the other tips listed in this post to improve the customer experience at your bar, pub, or tavern. We wish you all the best! This entry was posted in Bars and Restaurants and tagged bar, business, customer service, pub, restaurant. Bookmark the permalink.